The goal for Greece is to become more attractive to international supply-chain operators as a connection between land and sea, and between East and West. The potential is there. The southern port of Piraeus is the deepest seaport on the Mediterranean, and it has already started developing as a significant trans-shipment center. In the north, the port of Thessaloniki also has potential to evolve into a gateway to Southeast and Central Europe. But becoming a regional gateway will require competitive logistics along the whole supply chain, in addition to efficient ports and railway connections. These requirements can only be met through extensive reforms and strategic investments in logistics and transport. The good news is that logistics already represents the second largest sector of the Greek economy. Developing it further will act as an accelerator of industrial growth, trade, and value addition. Countries such as the Netherlands have shown that logistics are an essential part of the infrastructure of a national economy. Our new report identifies a number of ways the Greek government can improve the efficiency and viability of both sectors. While there’s no single, silver-bullet piece of legislation to make this happen overnight, the report highlights realistic reforms that can begin to significantly improve Greece’s business environment. In order to make these conclusions, we first identified factors holding back the modernization of the logistics industry. By comparing Greece to its neighbors, it was clear the country is underperforming. The industry is relatively underdeveloped compared to the rest of Europe. Excessive regulation and a general lack of coordination at all levels within the public sector and the private sector have led to slower, costlier transactions and to an inefficient market unable to generate investment. The good news is that Greece is making progress in certain key indicators. This year, it was the world’s top reformer in making it easier to start a business, according to the World Bank’s 2014 “Doing Business” report. The government is privatizing TrainOSE, the state-owned railway company. It has instituted a National Trade Facilitation Strategy, and it continues to work on legislative changes to increase trade across borders. But it’s going to take more than this. Efficient supply chains depend on infrastructure, institutions, quality service, well-designed regulation and a stable and durable institutional framework. Developing these underpinnings will require two types of reforms. The first—reforms in transformational sectors like trucking, railways, and ports —will be politically difficult and costly. These are the “big wins” that will take time to achieve. One example of a big win could come in expanding rail transport. Today, rail plays a marginal role in Greek logistics. Although fast and cheap, it is seldom used for freight transport. If ports such as Piraeus and Thessaloniki are to fully develop into gateways into Southeast Europe, a long-distance rail connection between Eastern and Western Europe will be essential. The second type of reform—smaller, “micro-initiatives” such as promoting coordination between authorities and transparency vis-à-vis the private sector—can help boost the viability of Greek companies, improve logistical efficiency, and encourage competition in the market in the near-term. Competition will be a key driver in reforming the logistics sector. Currently, Greece only outsources a scant 20 percent of transport expenditures on logistics. The average in more modernized European countries is normally 80 to 90 percent. For Greece to become an important center for high-quality logistics services, promoting outsourced logistics will need to be placed high on the reform agenda. Finally, in addition to these two types of reforms, there is a crucial third aspect to this strategy. The successful private-public sector dialogue developed through the Logistics Permanent Committee over the course of the last few years must be institutionalized to ensure the necessary continuity of the reform agenda. 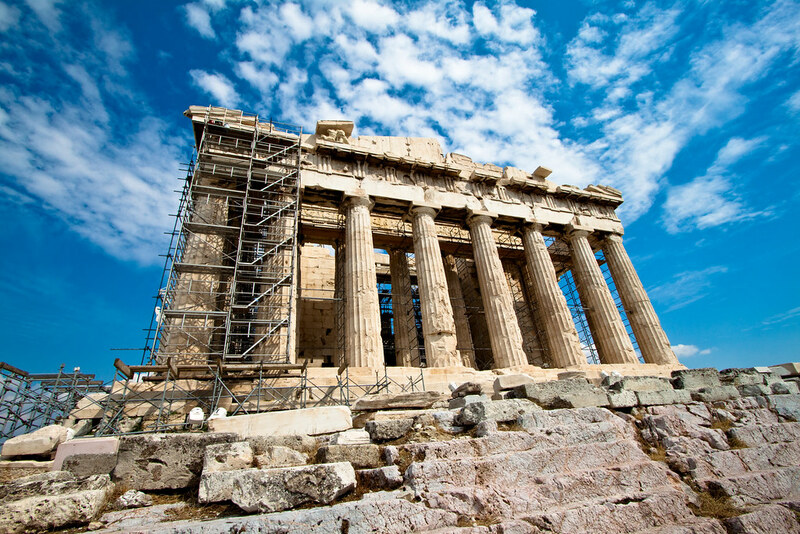 Only by building a strong institutional framework where the private sector has the power to come in and hold the public sector accountable will Greece stay on track in achieving its long-term goals. Whether big or small, reforming the logistics and transport sectors will require a continued, coordinated effort with full cooperation by all parties involved. The government of Greece must look at the big picture. Developing the type of competitive logistics sector necessary to attract global supply-chain operators will require the patience to target medium- to long-term market demand. If the government continues to invest strategically, listen to the needs and solutions proposed by the providers and the users of professional logistics, streamline customs and fiscal procedures, and build a reputation for high-quality services, Greece could reestablish itself as a port of call in the Mediterranean. PLease send us the report or the URL to the report. Hi Markus, The link to the report can be found in the third paragraph, where its says "find out how". Alternatively, you can find it here: http://www-wds.worldbank.org/external/default/WDSContentServer/WDSP/IB/2... Thanks for reading, and I hope you find it interesting!